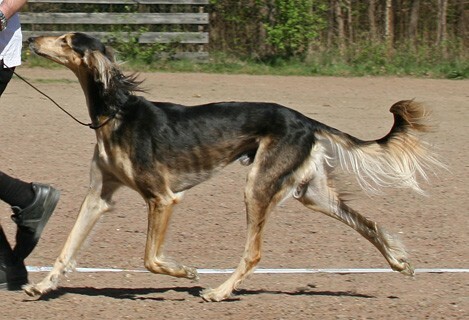 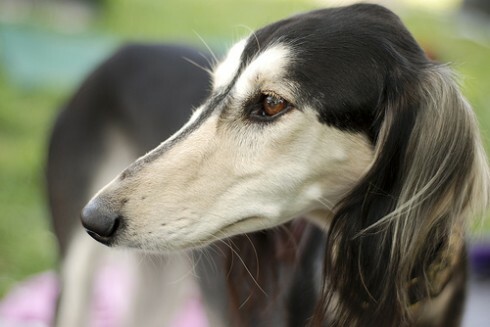 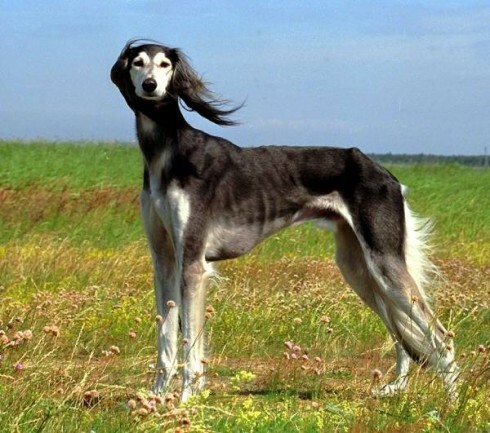 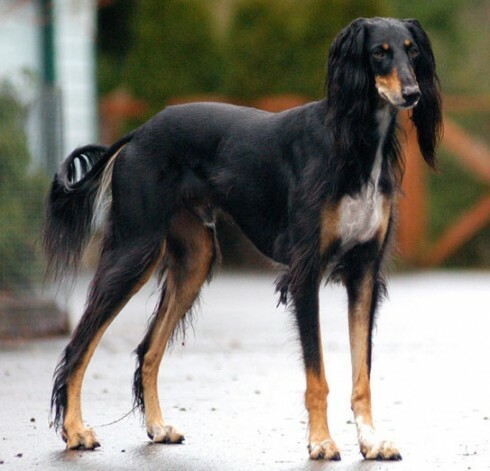 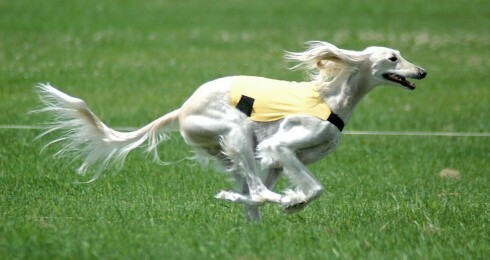 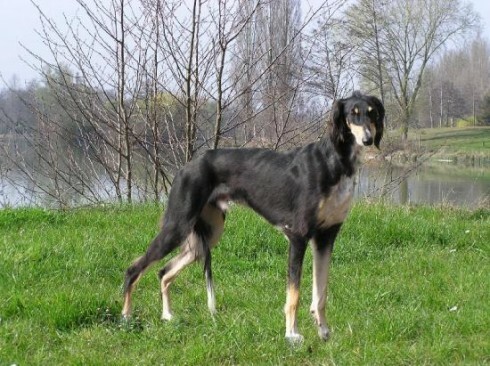 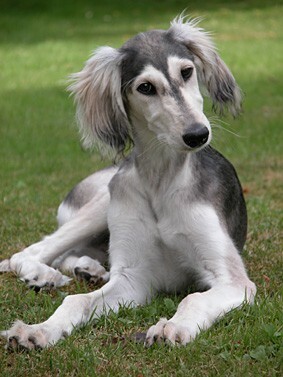 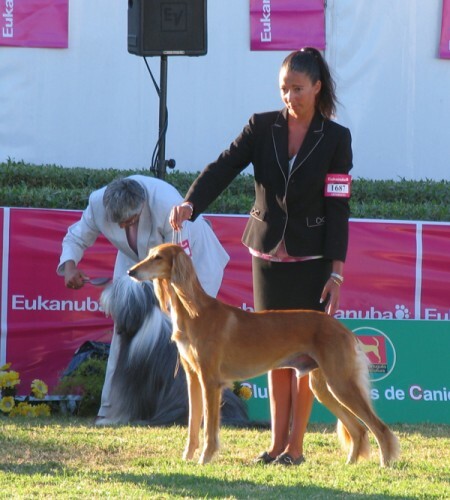 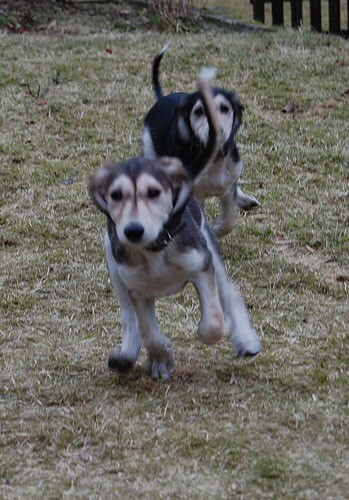 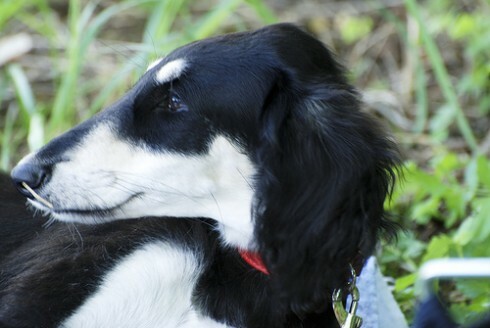 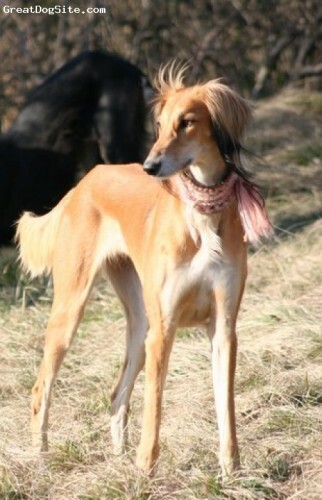 The graceful and beautiful Saluki is usually quiet indoors, but is active outdoors and needs serious exercise. 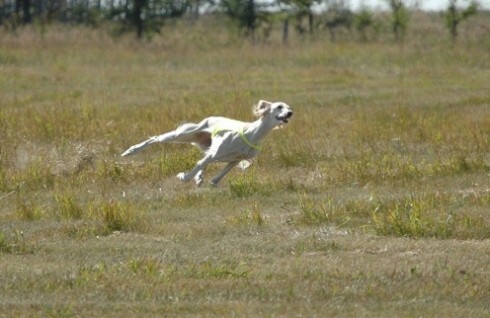 This dog is fast. 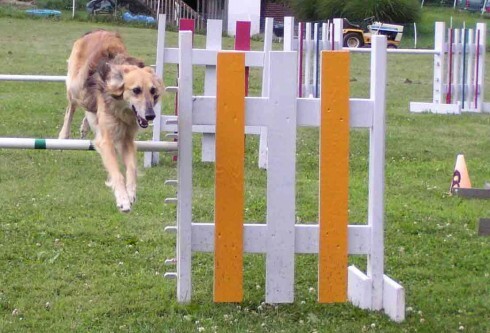 Because of his independent nature, training him takes patience and humor. 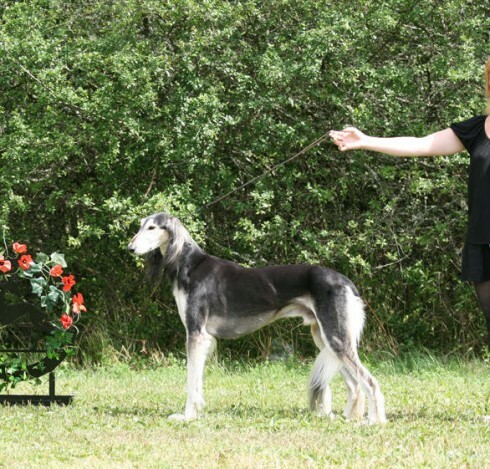 He is devoted to his owner and does not usually warm up to strangers. 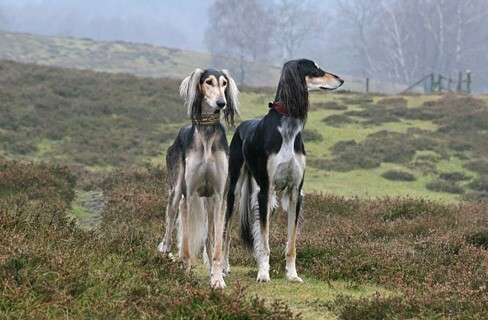 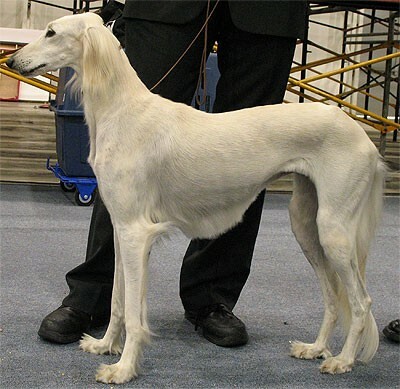 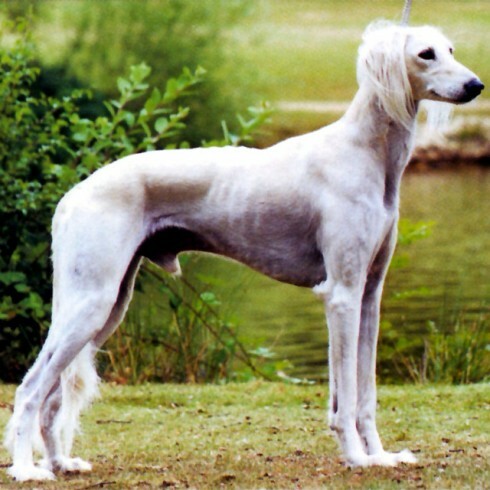 The Saluki, royal dog of Egypt, is perhaps the oldest known breed of domesticated dog, identified by some historians as "a distinct breed and type as long ago as 329 B.C. 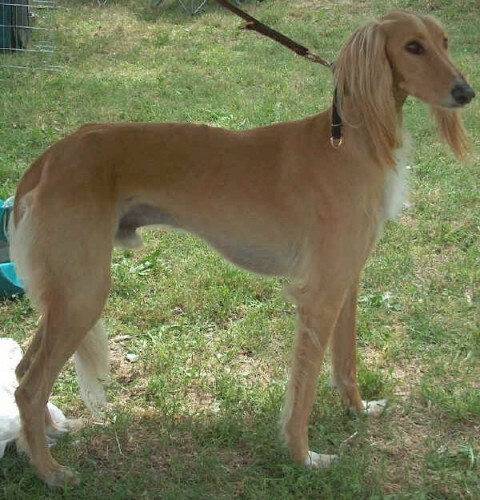 when Alexander the Great invaded India." 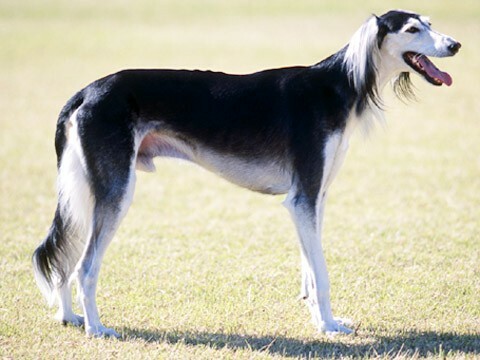 Salukis were widespread and appeared in Egypt were they were held in such great esteem that its body was often mummified like the bodies of the Pharaohs themselves. 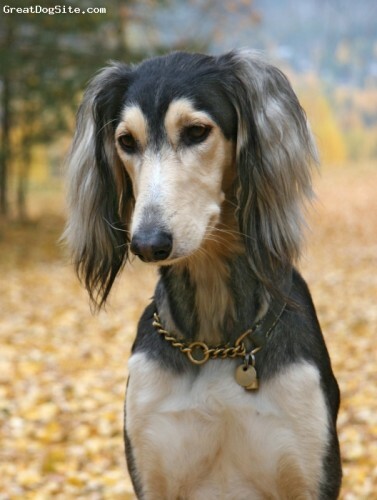 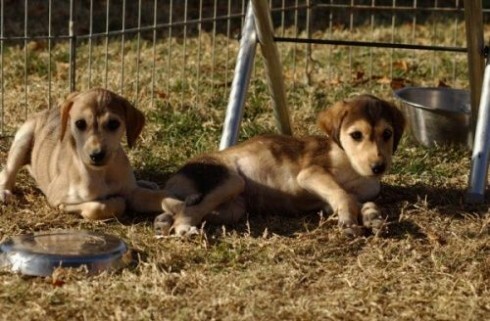 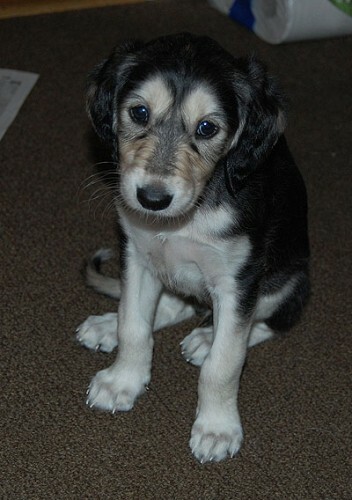 So you want to own a Saluki? 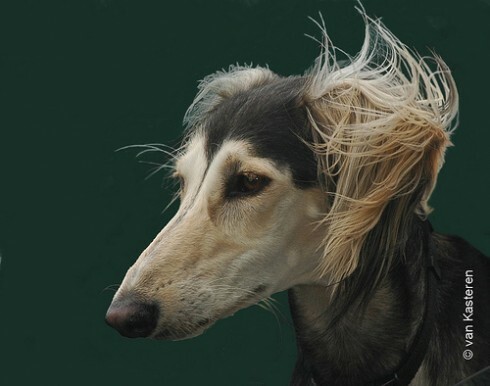 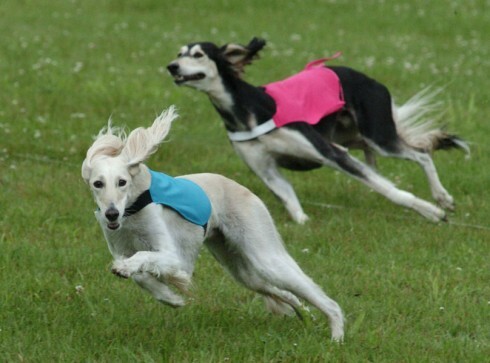 The Saluki is an active breed who likes the outdoors. 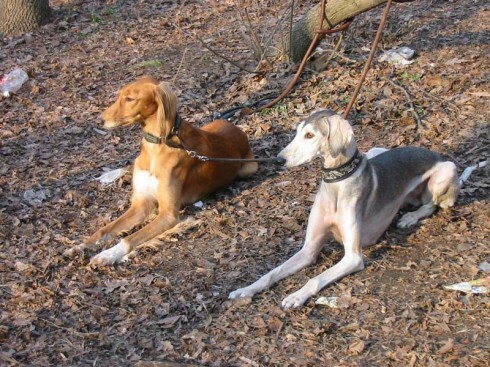 The Saluki should never be left off a leash or let to roam outside of a fenced yard. 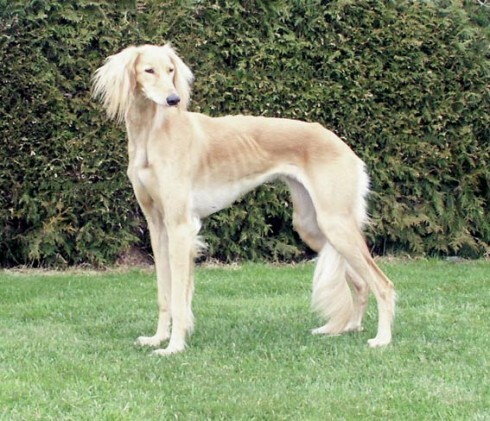 The Saluki shows great attachment for his owner; he is an affectionate dog who thrives in families where he is the focus of attention. 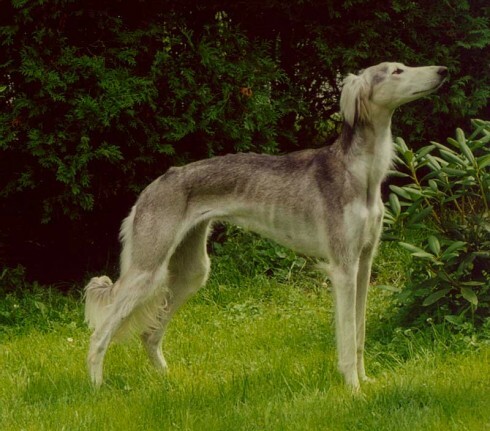 Any colour or combination of colours permissible, other than brindle.